Annise Montplaisir is 23 and comes from Fargo, North Dakota, USA. Annise graduated in 2017 from North Dakota State University with a BS in Management Communication and International Studies and a minor in Spanish. 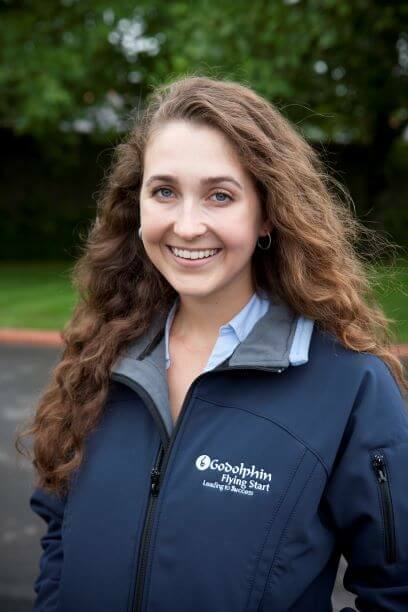 Before commencing the Godolphin Flying Start program, she worked at Fasig-Tipton as a sales intern, as an assistant in the Keeneland Communications Department, and interned at Mill Ridge Farm as a yearling groom and public outreach assistant.